Featuring ten of our most popular flavours in separate trays that make picking your favourite ever so fun. Only Jelly Belly has so many ways to celebrate Spring and Easter. Now creating the perfect basket has never been easier. 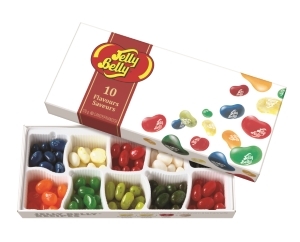 Visit Jellybelly.ca for fresh ideas, tips and recipes. Supermodel and super-famous Instagrammer Chrissy Teigen is unapologetically driven by a deep craving for delicious food. In her second cookbook, (to follow up Cravings in 2016) Teigen takes us on a spin through some surprising culinary mash-ups that reflect her travels and Thai heritage (there's even a chapter called "Thai Mom"). 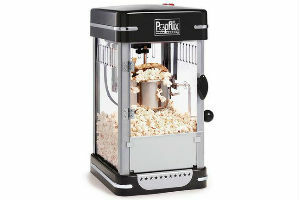 Family movie night just got a whole lot better thanks to this theatre-style popcorn maker. With the capacity to pop 10 cups of popcorn, this retro-looking machine is easy to clean, has an illuminated on/off switch and comes with a measuring scoop for kernels, a measuring spoon for oil and a scoop for dishing up your perfectly popped corn. 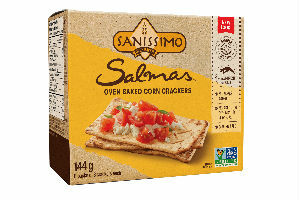 Sanissimo's new Salmas Chia and Flax are oven-baked, corn-based crackers with no added sugar, no artificial colours or flavours, and are made with only four ingredients. The non-GMO and gluten-free crackers don't skimp on taste, either. Each box contains eight packs of three crackers that offer a fulsome flavour with a perfectly crunchy texture. Practical and portable, they can be enjoyed at home, on social occasions or on the go. Serve them with a variety of toppings. 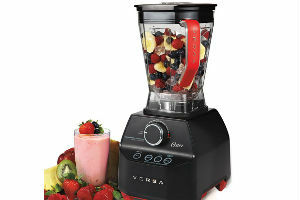 Sleek but powerful, this blender will crush whole ice cubes, veggies and fruits into smoothies and more. It's packing a powerful 1400-watt motor which whirls the blade a whopping 250 miles-per-hour. The large eight-cup capacity makes it perfect for families, but still low enough to sit nicely on the counter. Comes with two recipe books and a seven-year limited warranty. With five fun flavours to choose from, including apple in raspberry gel, mandarin in orange gel, mixed fruit in cherry gel, peaches in peach gel and peaches in strawberry gel, snack time is always a jiggly bowl of fun. 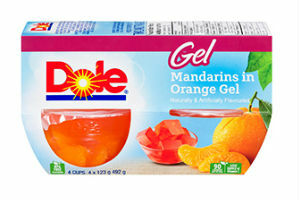 Each package contains four 123-gram cups filled with real fruit in a flavourful gel. These tasty little puree packs are perfect as a meal for babies (six month and up) or as a snack for little kids. 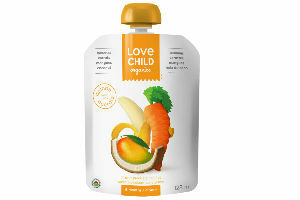 Packing a healthy punch with a blend of organic vegetable and fruit purees plus quinoa and acerola fruit, they're gentle on tiny tummies while still being rich in nutrients. Easy to squeeze and handy to throw in the diaper bag or lunch box, these BPA-free pouches are fun to slurp with 15 flavours to choose from. 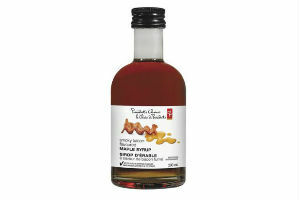 This bacon-infused maple syrup has your back on busy mornings, offering the smoky flavour of bacon without all the work or splatter that comes with the real deal. Sure, it's delicious drizzled over pancakes or French toast, but it also comes in handy as a glaze for chicken and salmon, poured over ice cream or whisked up in your fave homemade salad dressing. If a soft-baked cookie in handy little packages strikes your fancy, lean in. These portable, gluten-free, school-safe snacks come in a variety of flavours from double chocolate brownie, snickerdoodle, chocolate chip and double chocolate. 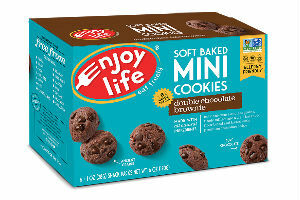 They're non-GMO, vegan, and come individually wrapped with six 28g bags per box. Meet your new must-have gadget. 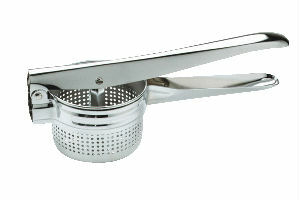 It sort of looks like an oversized garlic press, with a perforated basket on one side, where you put a cooked potato, and a flat disc on the other side. When pressed together, the disc pushes the potato through the holes of the basket (this is a great job for a small sous chef, if the potatoes aren’t too hot and kids can be trusted to keep their fingers out of the way). The result? The smoothest mashed potatoes in the land. Ayurveda is a 5000-year-old system of holistic knowledge which teaches that balancing the mind, body, and spirit is essential for holistic well-being. 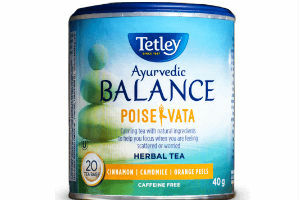 Sit back and let one of the three caffeine-free flavours help you unwind. There's Vigor Kapha, a blend of ginger and mint; Cool Pitta, which is mint and subtle lemon and Poise Vata, a warm cinnamon and orange medley. 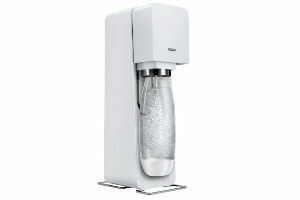 If you struggle to get your 8 to 10 glasses a water of day, a SodaStream can help. With the ability to control just how fizzy you want your sparkling water, this sleek, countertop machine doesn't use electricity so you can bring it anywhere (like glamping or to the backyard barbecue!). Powered by a CO2 cylinder, fill your bottle with tap water and easily lock it into place then fizz it up with a push of the button. Comes with one-litre carbonating bottle and a CO2 cylinder. Syrups for making soda sold separately. Real fruit makes up half of these tasty bars (and you can actually see it), the rest is puffed rice and whole grain gluten-free oats. It's a substantial snack that will curb their hunger. 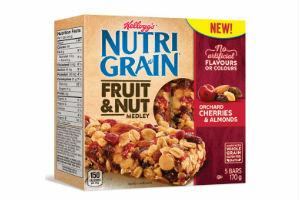 Available in Orchard Cherries and Almond and Harvest Blueberries and Mixed Nuts.